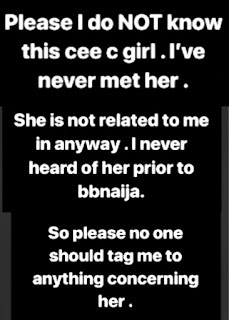 Cynthia Obi Uchendu, wife of the popular television presenter, Ebuka Obi-Uchendu, has taken to her Snapchat account to address the rumours that she is related to Big Brother Naija housemate, Cee-C.
She mentioned on her snapchat of not knowing the Cee-C lady prior to the television show, adding that she isn’t her elder sister as many people have suggested due to their similar resemblance. 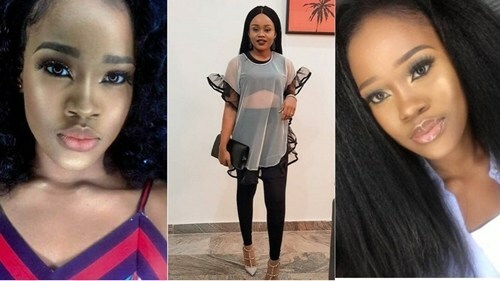 Multiple online reports and social media posts had alleged that the BBNaija housemate, Cee-C is related to her, being the reason the TV star was selected to feature in the show. 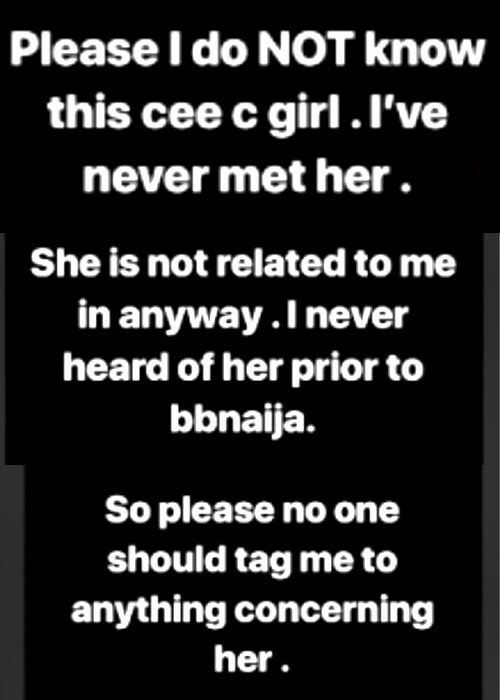 Writing further, Cynthia who disclaimed every news that had suggested she is related to Cee-C said that people should stop tagging her on matters concerning Cee-C as she doesn’t care or relate to her. This had got people confused because she had reportedly been in great support of the housemate earlier and made a post about her on Instagram, on the first day the housemates moved into the big brother house.